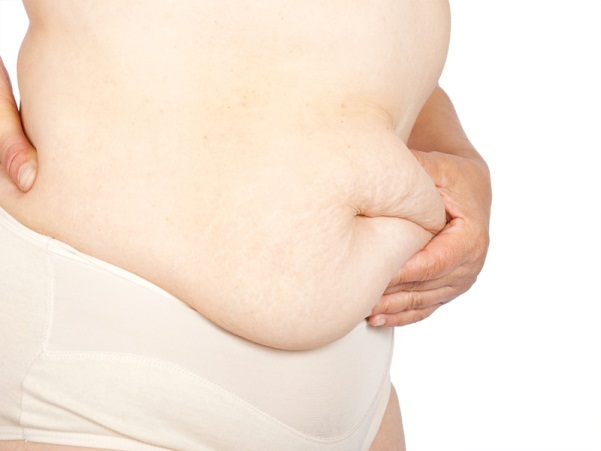 Loose skin is a common problem in individuals who have shed a considerable amount of weight especially if the weight loss has been achieved in a short span of time. Loose skin hanging around from different places in your body such as from under the arms or around the stomach can be very embarrassing. Let us discuss the different reasons that lead to loose skin, and the various ways to tighten loose skin after weight loss and fat loss. To avoid loose skin, don’t lose weight too quickly. Crash diets and doing too much of exercise will make you lose not only the fat layer of your skin but also the underlying supportive muscles that hold skin taut against your body. Always aim for losing 1-2 pounds of weight per week and ensure that you include weight lifting exercises in your weight loss program so that your lean muscle is not lost. Water is crucial to maintain the elasticity of your skin. Hence, keep a check on your hydration needs. You should drink at least 2 liters of water per day. Two ingredients that help in keeping your skin elastic and plump are elastin and collagen. Foods rich in protein such as milk and other dairy products, cheese, tofu, legumes, seeds, nuts, beans and fish contain components that form elastin and collagen and also oils that help in maintaining the health of the skin. For maximum absorption of these collagen and elastin forming components into the body, eat a protein rich food of 100-200 calories, immediately post your workout. Take great care of your skin and nourish it. Exfoliate your skin to remove dead skin cells and improve blood circulation in the skin. Skin tone can be improved by having a hot bath comprising of minerals and sea salt. Limit exposure to harmful sun rays, avoid going to tanning booths and limit exposing your skin to hot and chlorinated water. If you do swimming as a part of your fitness routine, you should use soaps and shampoos that are specifically made to remove chlorine from the skin. A major part in eliminating loose skin is to tone and build muscles. As already stated you may lose not only fat but also muscles if you lose weight rapidly by crash dieting and exercising. The solution to this problem is to build more muscles while keeping the body fat percentage low. The muscles will fill your loose skin and make your skin appear tighter and taut. You should lift weights and improve on your muscle mass if you already have lost weight and developed loose skin. In case you are beginning a weight loss program, ensure to include weight lifting exercises too. You should also ensure to take a multivitamin so that you fulfill all your nutritional needs while you are restricting your calories to lose weight. The multivitamin you chose should contain all the necessary vitamins such as A, C, E, K and B that are important for the health of the skin. Opt for a formula that contains various minerals such as selenium, zinc and copper too. An excellent way to maintain health of the skin is to get regular massages utilizing effleurage movements. This is a technique of massage that helps in improving the blood circulation of the skin. You can either opt for professional massage or do it yourself. Why Does the Skin Get Loose after Weight Loss? Skin is a living organ that is incredibly elastic and as you move and grow in size, it stretches. Similarly it shrinks when you lose weight. Like all other organs of the body skin is also composed of cells and it covers and protects the entire body. Skin has three different layers which comprise of different types of cells. The outermost layer of the skin is known as epidermis and the cells of this layer are shed continuously and being replaced by new cells. The other two layers of the skin are known as dermis and subdermis and are composed of elastic connective tissues, blood vessels, fibers and other components that may contract or stretch depending on the stimulus applied to them. The cells present in the deeper layers of the skin are a bit more permanent. When a large amount of weight is lost, especially during a short span of time, these deeper elastic skin components lose their fat content that helps the skin to stretch and cover the entire body. These components also do not have enough time and get into the shape of your new size. Apart from rapid weight loss, there are several other factors including age, poor nutritional habits, dehydration, excessive exposure to the sun and smoking tobacco that can adversely affect the elastic components of the skin and make your skin loose and hang in folds. Plastic surgery should be considered to correct and tighten loose skin if you have excessive weight for many years and now lost it. However, surgery should be the option in only extreme cases where all other measures to correct loose skin have failed. What Causes Unexplained Bruises on the Legs?